So pretty JJ. You've also given me another reason to finally go and buy the Custom Panels die set. 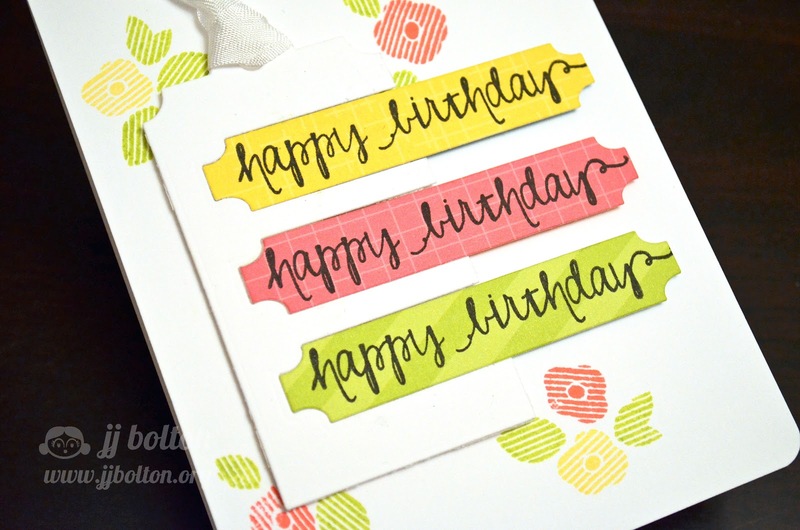 This is fabulous...awesome diecutting and the colors are delish! So so COOL, Miss Lady!! Oh inlay die-cutting! So pretty! This is amazing and soooo pretty! Love it! Love how the sentiment banners are placed :) lovely card ! You just get better and better! Awesome,JJ! Oh, I really love this card, JJ! 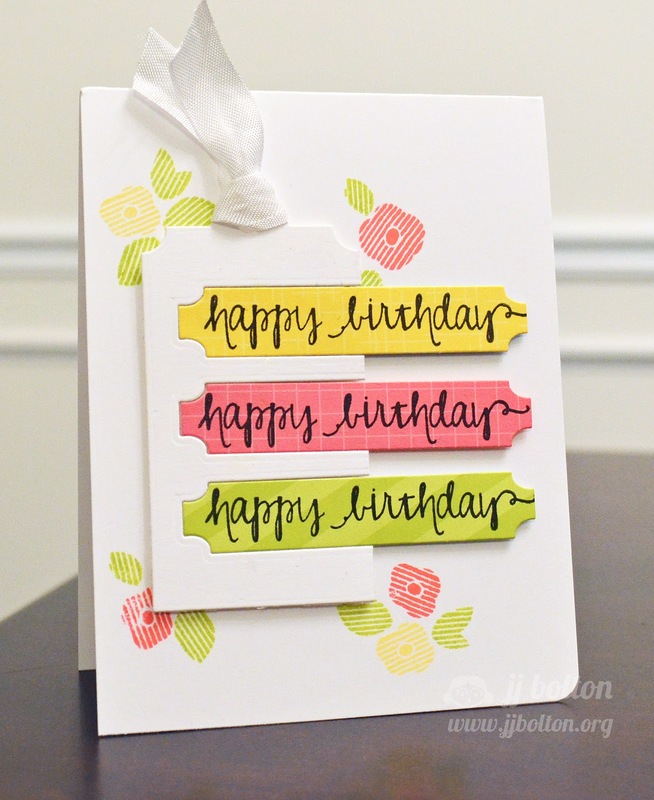 I love how you extended the die cuts across the card, and how you added those charming flowers! I also love your fresh, fun color combo...it's so pretty! Major "WOW!" Factor with the inlaid tag! I love those flowers!! Very creative inlaying of the labels...looks wonderful.